Anthony Doerr has received many awards--from the New York Public Library, the National Endowment for the Arts, and the American Library Association. Then came the Rome Prize, one of the most prestigious awards from the American Academy of Arts and Letters, and with it a stipend and a writing studio in Rome for a year. Doerr learned of the award the day he and his wife returned from the hospital with newborn twins. 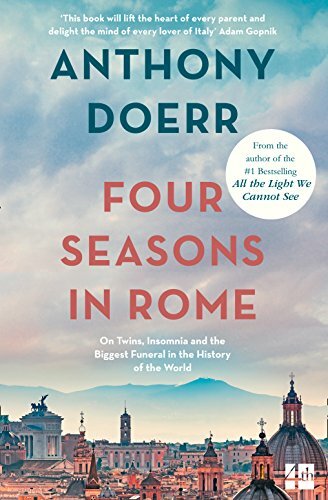 Exquisitely observed, Four Seasons in Rome describes Doerr's varied adventures in one of the most enchanting cities in the world. 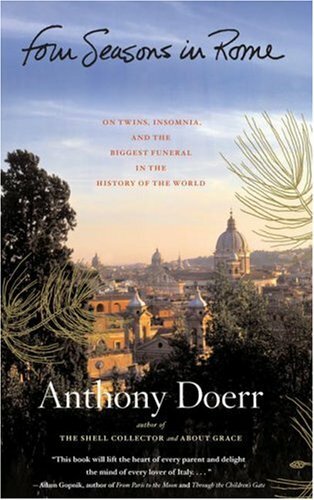 He reads Pliny, Dante, and Keats -- the chroniclers of Rome who came before him--and visits the piazzas, temples, and ancient cisterns they describe. He attends the vigil of a dying Pope John Paul II and takes his twins to the Pantheon in December to wait for snow to fall through the oculus. He and his family are embraced by the butchers, grocers, and bakers of the neighborhood, whose clamor of stories and idiosyncratic child-rearing advice is as compelling as the city itself. 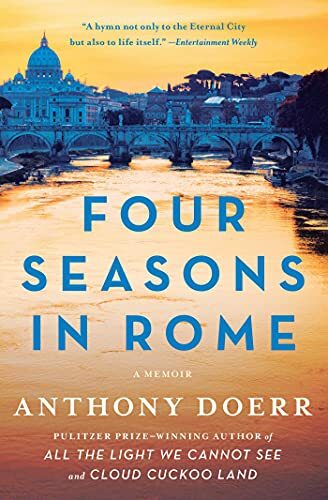 This intimate and revelatory book is a celebration of Rome, a wondrous look at new parenthood, and a fascinating story of a writer's craft--the process by which he transforms what he sees and experiences into sentences.